This magic moment? A group breaks into applause as this bride-to-be poses after finding her dress. 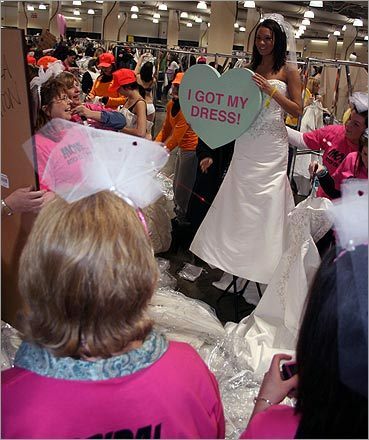 The Running of the Brides, which takes place twice a year in Boston, kicked off at the Hynes Convention Center on February 20. Runners began lining up before 3 a.m., hoping to snag the perfect discount dress from Filene's Basement.